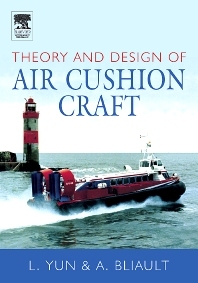 This definitive text describes the theory and design both of Air Cushion Vehicles (ACV) and Surface Effect Ships (SES). It begins by introducing hovercraft types and their development and application throughout the world in the last three decades, before going on to discuss the theoretical aspects of ACV and SES craft covering their hovering performance, dynamic trim over calm water, resistance, stability, manoeuvrability, skirt configuration and analysis of forces acting on the skirts, ACV and SES seakeeping, and the methodology of scaling aerodynamic and hydrodynamic forces acting on the ACV/SES from model test data. The latter chapters describe a design methodology, including design criteria and standard methods for estimating craft performance, lift system design, skirt design, hull structure, propulsion systems and power unit selection. Much technical information, data, and references to further work on hovercraft and SES design is provided. The book will be a useful reference to engineers, technicians, teachers, students (both undergraduate and postgraduate), operators etc. who are involved in ACV/SES research, design, construction and operation. Introduction to hovercraft Air cushion theory Steady drag forces Stability Trim and water surface deformation under the cushion Manoeuvrability Design and analysis of ACV and SES skirts Motions in waves Model experiments and scaling laws Design methodology and performance estimation Determination of principal dimensions of ACVSES Lift system design Skirt design Structural design Propulsion system design Power unit selection.